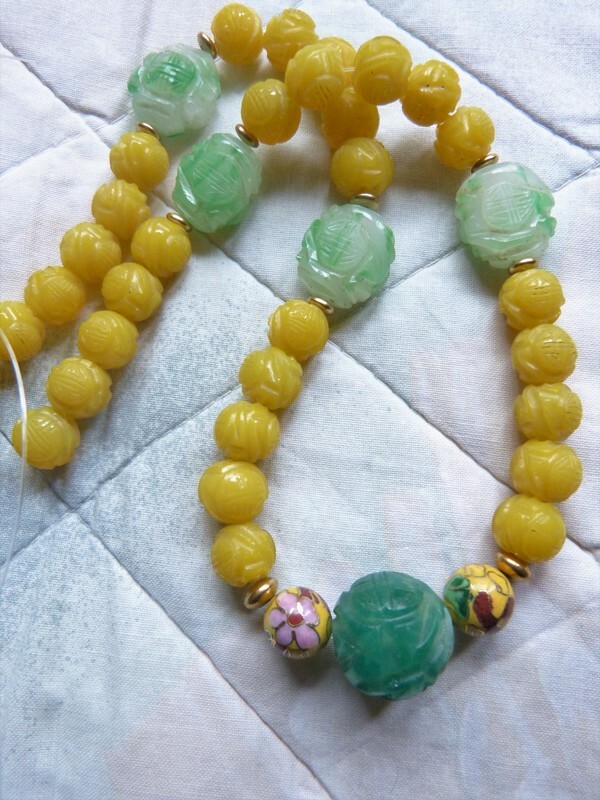 Antique Chinese Yellow Shou Longevity Beads Necklace with green jade shou beads. 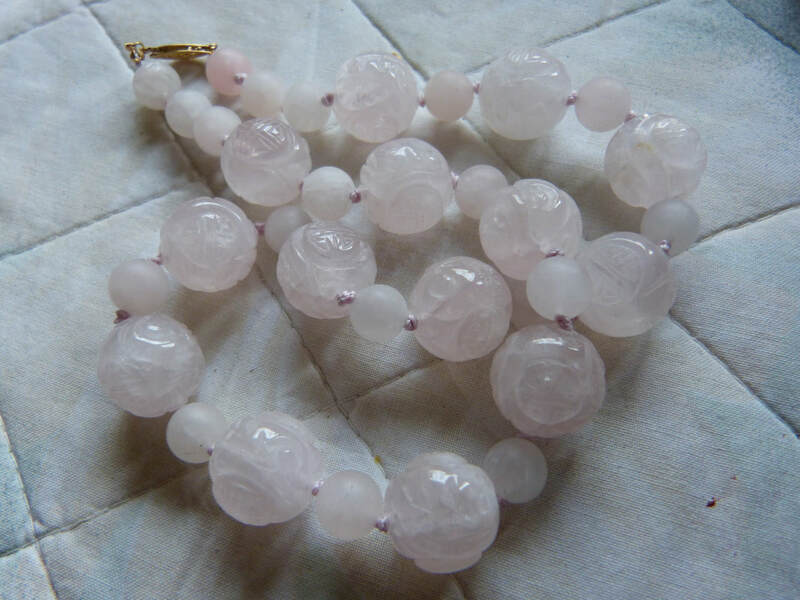 Court Necklace Beads? 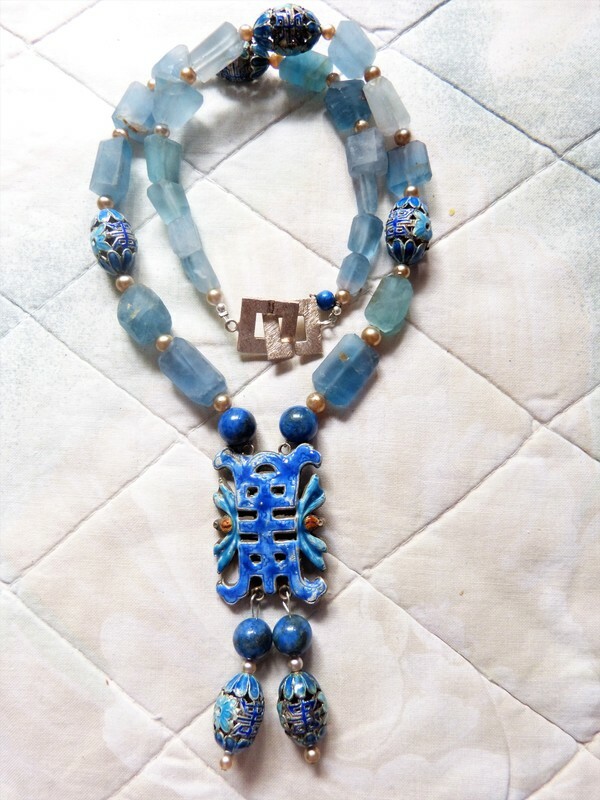 I have created this necklace around a antique/vintage Chinese opium with serving spoon. The box is made from two engraved copper "bowls" with silver inlay (slight defects of silver) and hinge and closure are made from engraved brass. An extraordinary piece!! 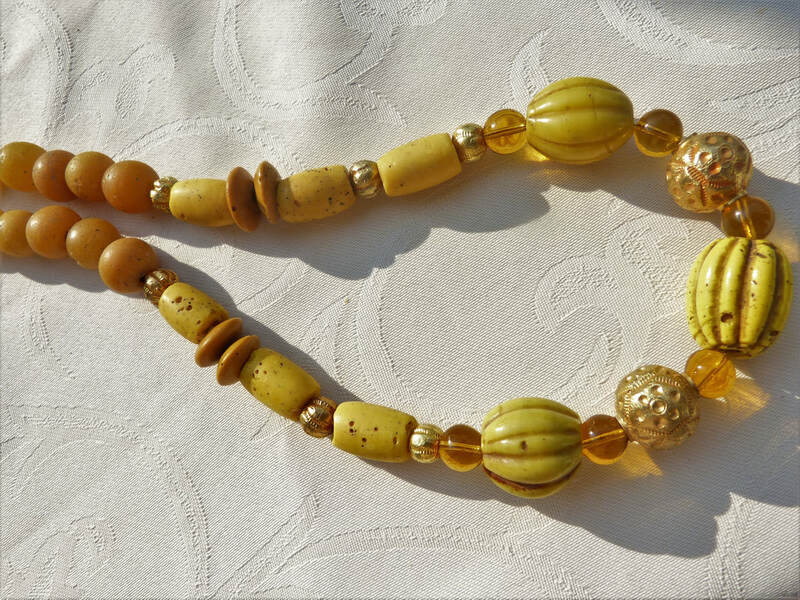 The double strand necklace is made with disk shaped and tube shaped natural citrine, untreated, gorgeous beads. 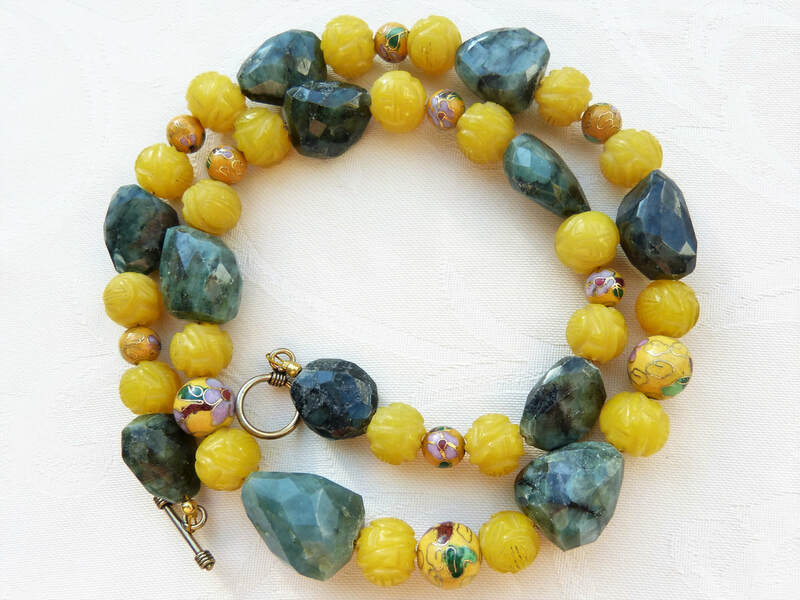 With four collared glass beads replicas of ancient Roman glass beads and brass/copper beads. 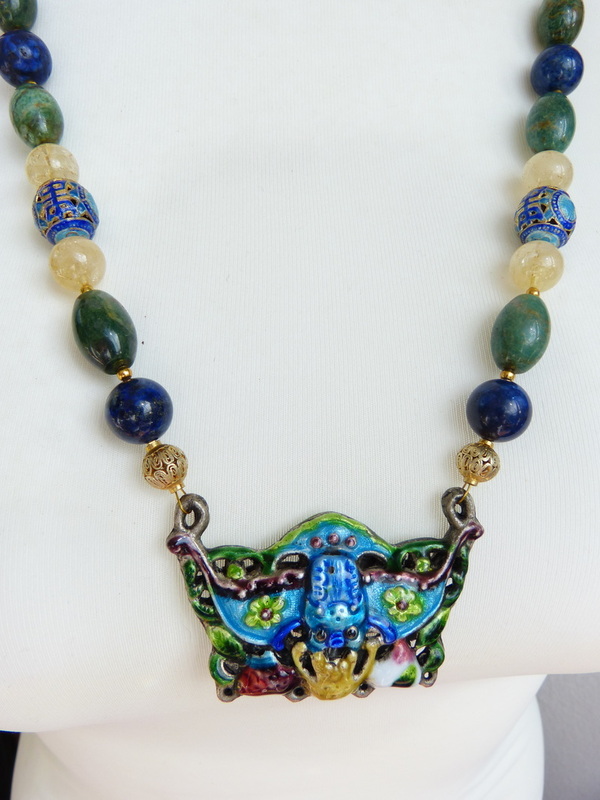 I have used an antique Chinese pendant with cinnabar and cloisonné inlay to design this necklace. 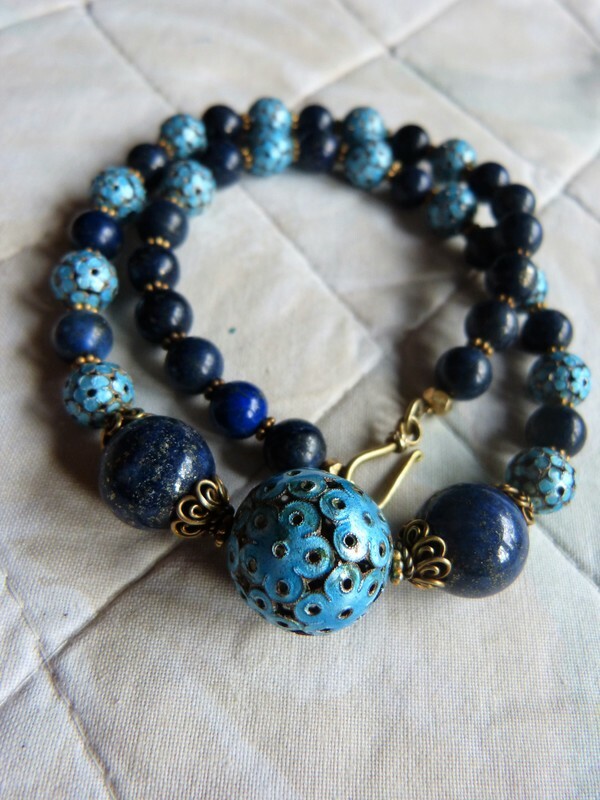 The necklace comprises old red cinnabar beads with the Shou pattern, antique carved lapis Shou beads, round lapis beads, round new plain red lacquer beads and two new cylinder shaped Chinese cinnabar beads with flower pattern. 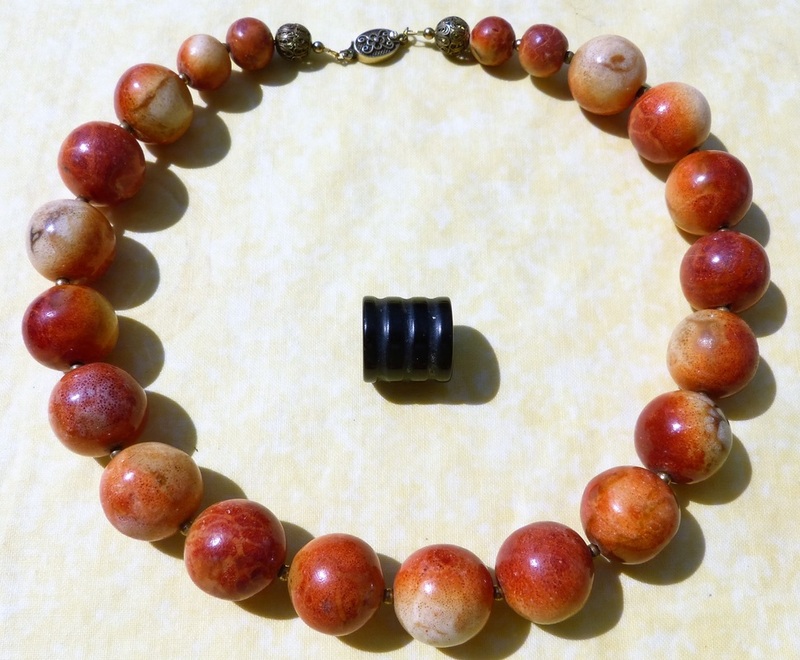 Brass accents and clasp. 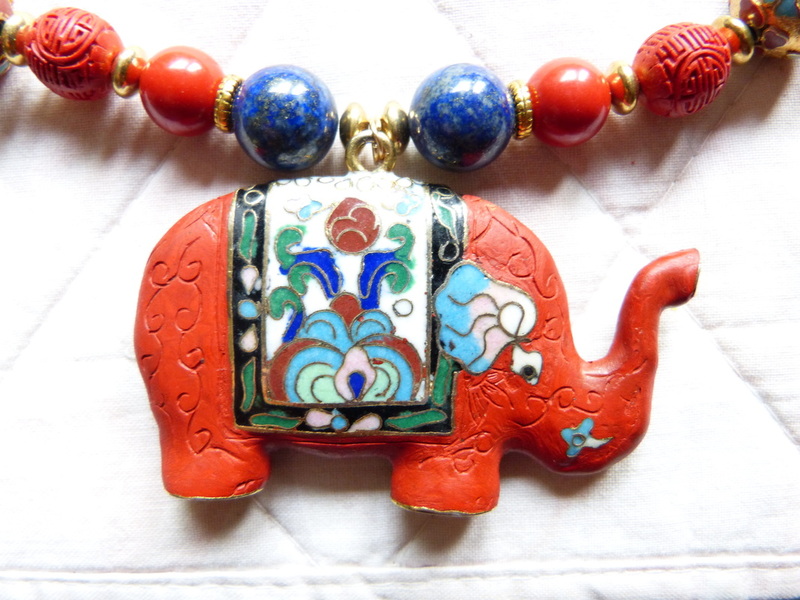 The elephant has a tiny flea bite on one of it's hind legs ! see last pic. 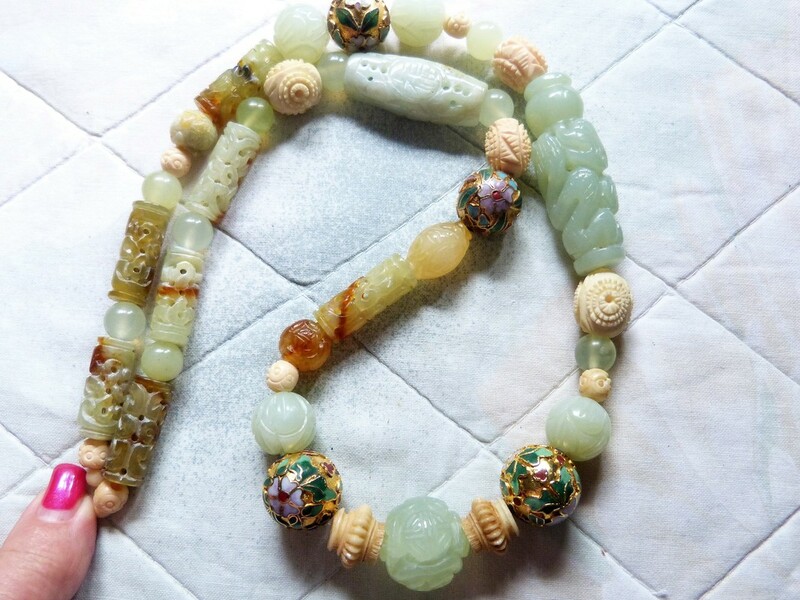 Creating this necklace was really fun. 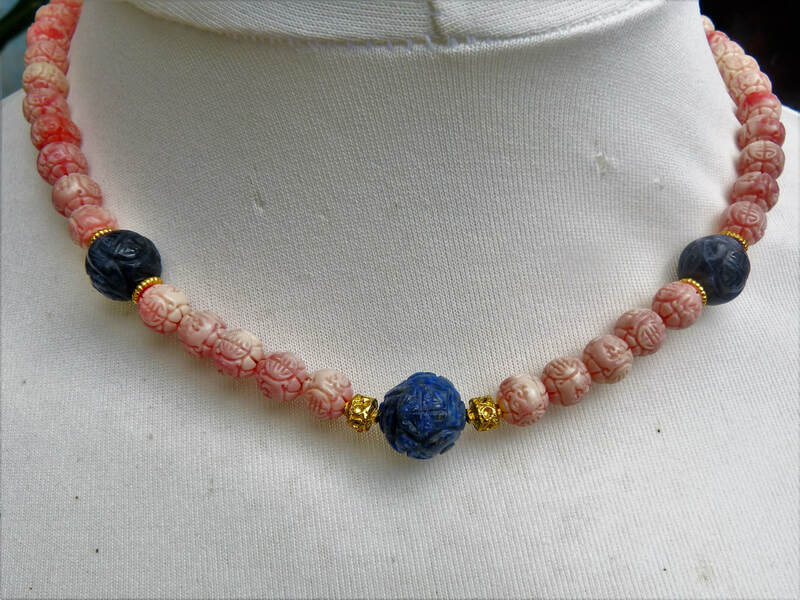 I love these zodiac sign beads. 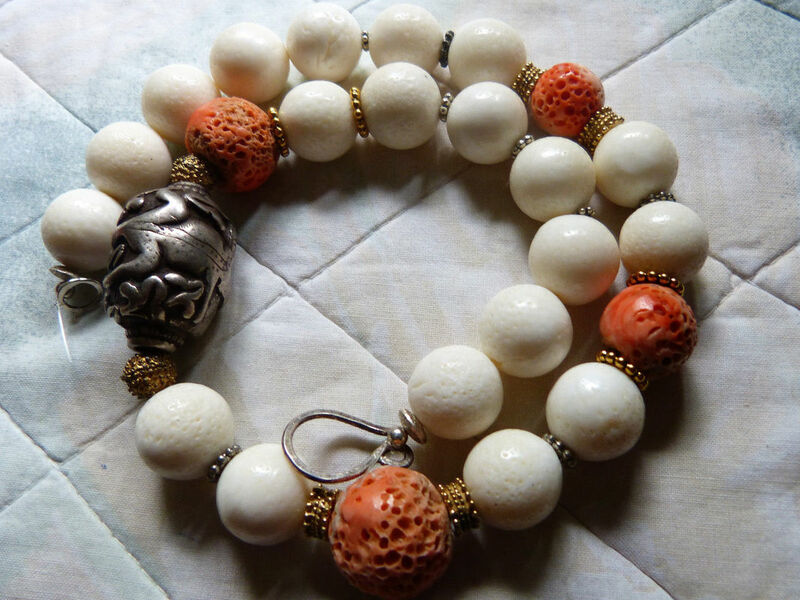 The zodiac beads are coral red, faux coral, man made!, Plain round beads are new red lacquer beads (cinnabar). 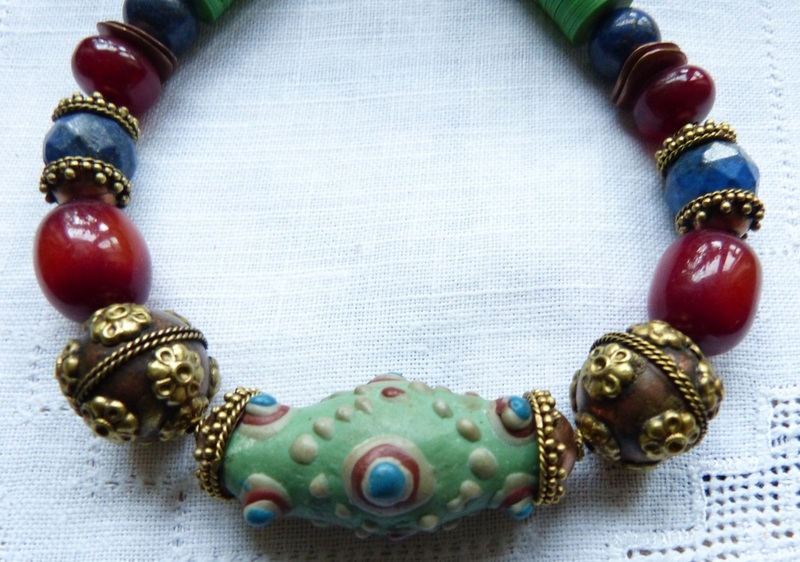 The cloisonné beads are older beads. 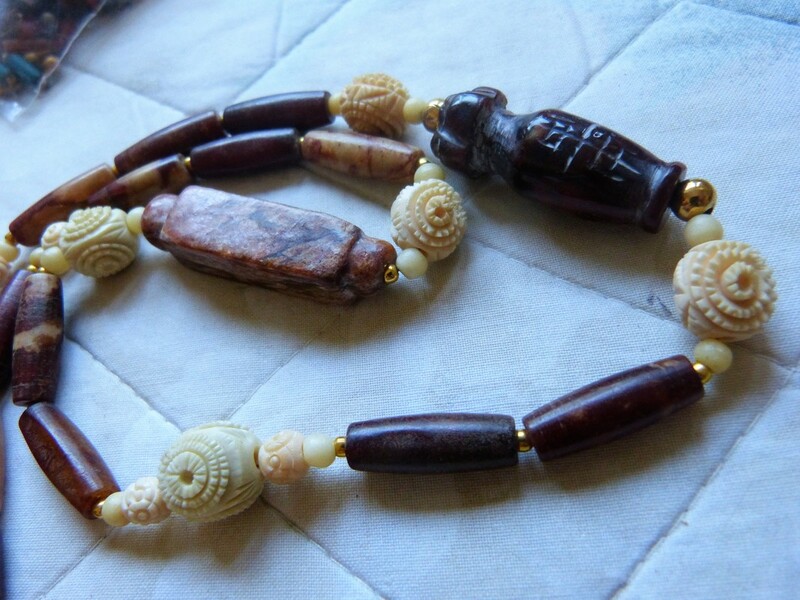 Outstanding necklace of ancient small drop shaped and disk shaped carnelian beads and four antique Chinese carnelian oval Shou (longevity) beads. 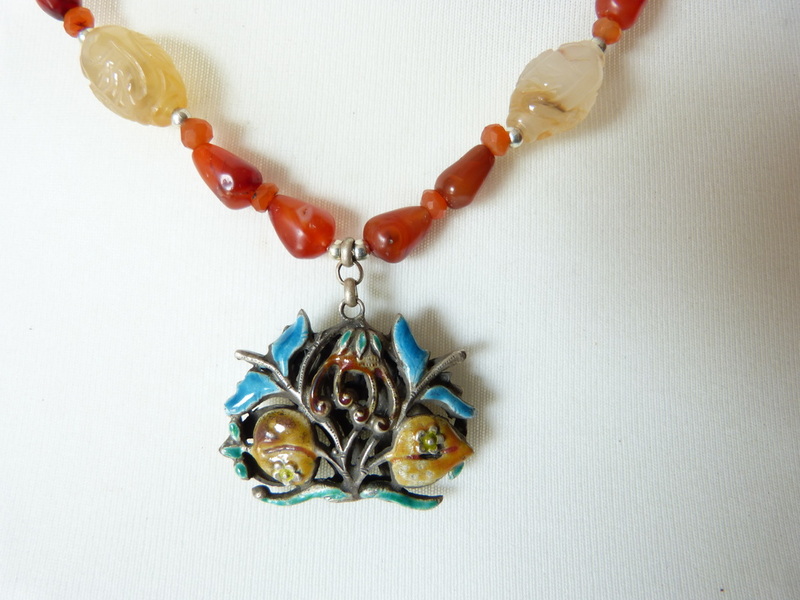 The necklace holds a lovely silver enamel pendant with flowers and fruits in reddish brown, blue and caramel enamel. 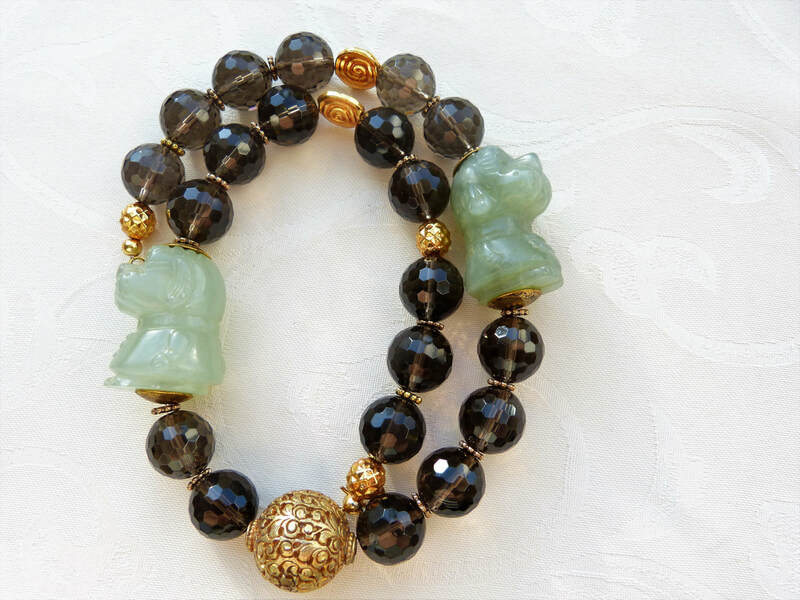 39 x 38 mm. 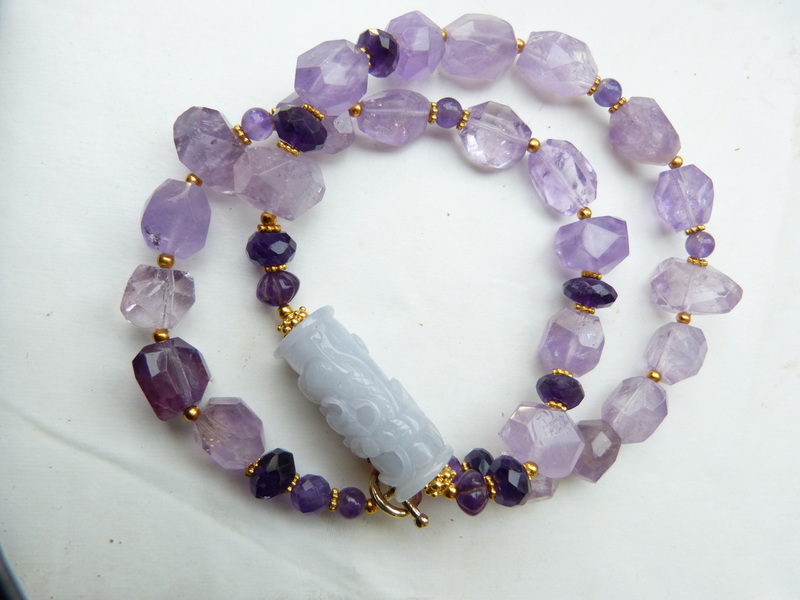 The lock, amulet, locket is attached to the necklace by means of a gilded sterling silver clip. 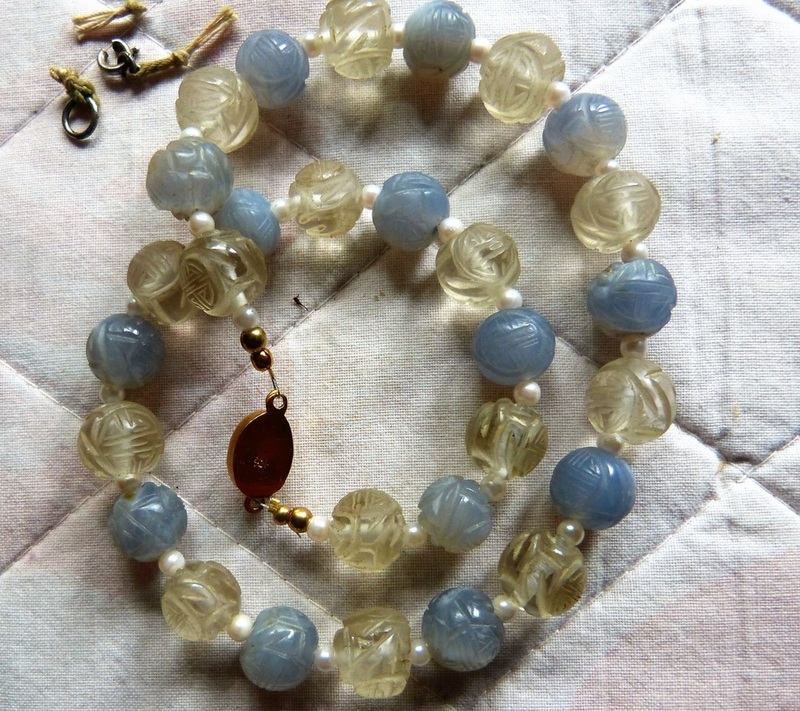 The locket is detachable, the clip is strung into the pearl necklace . 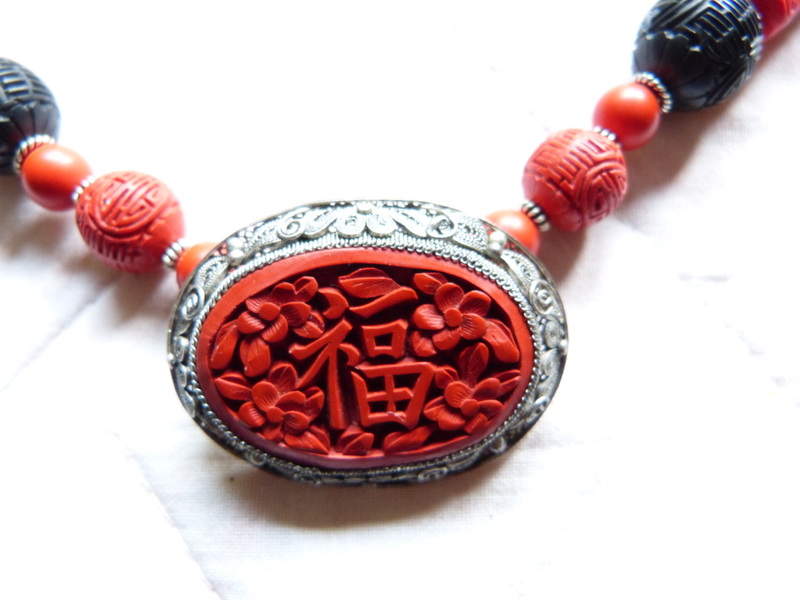 Therefore you can also change the lock to an other pendant and wear this attached to the necklace. 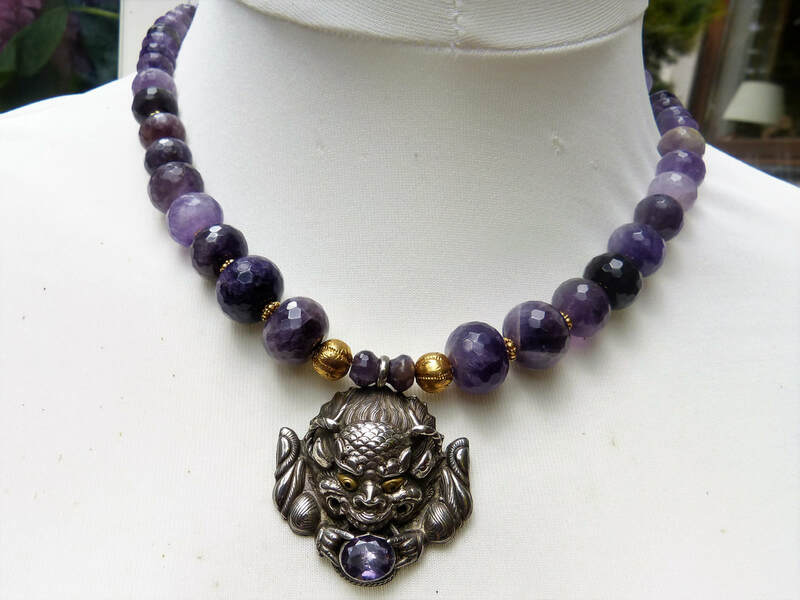 The pendant tends to slip left or right when worn. 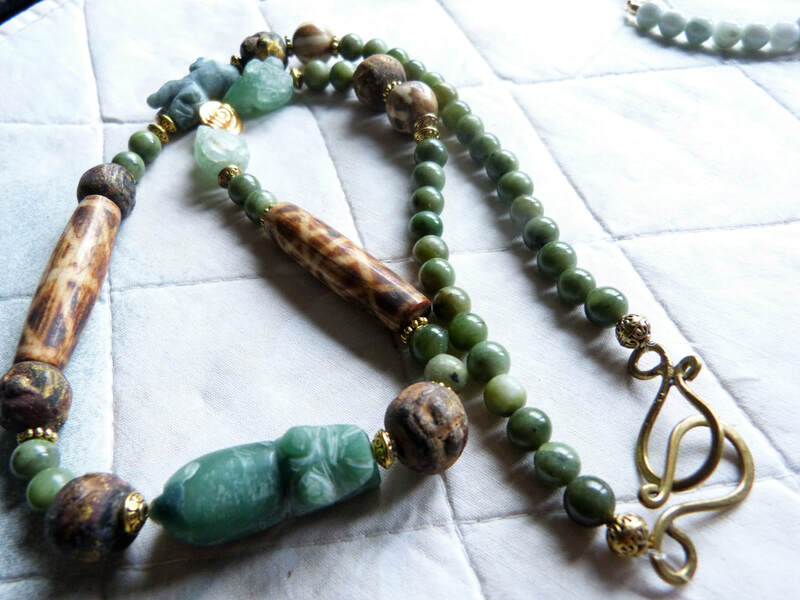 If you do not want to use the necklace to attach any other pendant I prefer to fix the pealrs directly to the lock. 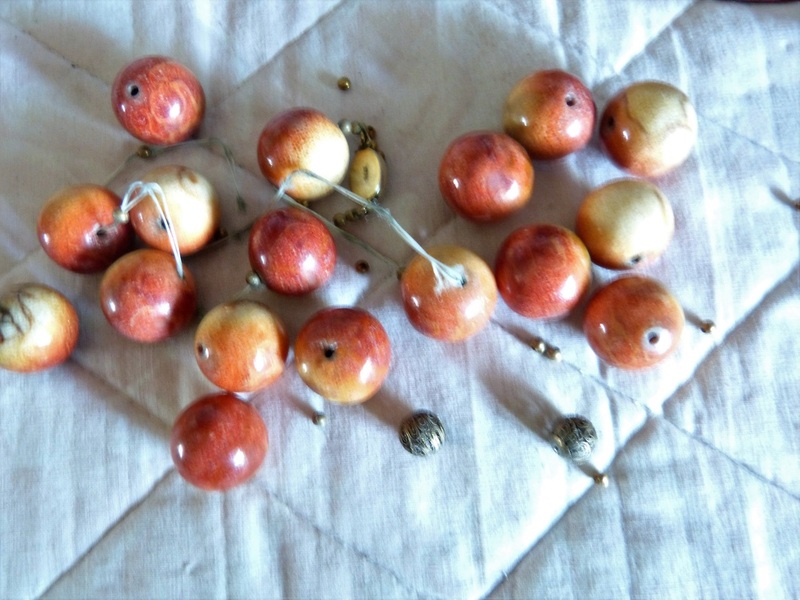 Has much more stability!